What is Gluten and Why do people go Gluten-Free? Gluten is a protein commonly found in wheat, oats, barley, rye. It is also universally used in preparation of cosmetics. Over time, many people have succumbed to Celiac disease, caused by intolerance towards gluten. Once diagnosed, they are advised to omit gluten completely from their diet as gluten can have unpleasant reaction to their immune system. What are Gluten-Free Skin Care products? 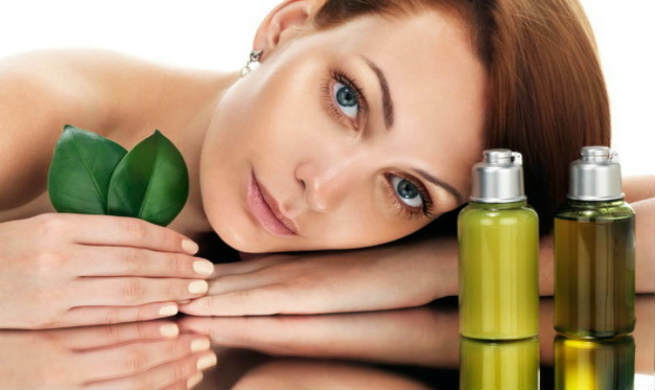 Gluten-Free Skin Care Products are cosmetics that have been produced keeping the gluten intolerant people in mind. These products are specially manufactured without any traces of gluten at all. Who are advised to use Gluten-Free Skin Care Products? Anyone who suffers from Celiac disease, food allergies, in particular gluten sensitivity. Some people also choose to opt for gluten-free diet by choice. What’s Celiac disease you ask? Well, it’s a disorder of the small intestine. If your small intestine comes in contact with gluten, instead of processing, it will react and in turn cause inflammatory reaction. There are many people who follow gluten-free diets strictly. These diets extend to their skin care regime as well. They opt for gluten-free skin care products mainly to avoid rashes or allergies, absorption of gluten of any kind in their body. What kind of skin care products are available Gluten-Free? If by using any gluten concentrated product, you are doing fine and even your doctor has not objected to the use, do not feel the need to omit the product out of fear. What are the issued faced by users of Gluten-Free Skin Care Products? Labelling instructions are still not appropriate. Certain products tend to contain minuscule proportions of gluten based products and are sold without proper mention of their concentration. Analyses prior to labelling needs to be more thorough and information needs to be more communicative. Research to show that using gluten based products can harm existing Celiac disease patients or vice versa needs to be supported with convincing evidence. Scouting for gluten free skin care products and having to read to double check that it adheres to your requirement is not easy. It’s really hard to find everything you want, gluten free. To add to the issues is the cost. Given these products are specialized, they come in a price definitely not even close to what normal products come by. The need for gluten-free products is subject to the person using it. There is not a thumb rule that a person with Celiac disease need to discard gluten completely from their diet, both food and beauty. It is more a matter of how each one’s body reacts to the product. While it may suit for some, it may not suit for many people despite their encounter with the Celiac disease or not, they can have an allergy.